If you haven’t already heard of the Raspberry Pi 3, get with the program: it’s the latest version of the device that has revolutionized introductory robotics. You’ll access a virtually endless number of projects with The Raspberry Pi 3 Complete LCD Display Kit, a fun and easy way to learn programming and processing. Get started with your own kit for 10 percent off on TNW Deals. While this mini-computer is tiny, it packs a punch. Work with the kit’s quad-core 1.2 GHz CPU and 1GB of RAM to explore unlimited programming possibilities. You’ll be able to control the system directly from the included board controller, plus the SainSmart LCD display will allow you to use it like a standard desktop computer. And you’ll enjoy the Raspberry Pi’s internet and Bluetooth capability right out of the box, plus its lightning-quick processing speeds: Up to twice as fast as its predecessor. All this means you’ll be able to complete a wide range of projects with the Raspberry Pi 3, including a music maker, weather station, smart TV, Wi-Fi signal extender, and much more. And beginners, take heart: The included quick-start guide will have you up and running in no time. Considering all this, it’s unsurprising that the Raspberry Pi has sold eight million kits over the last four years. 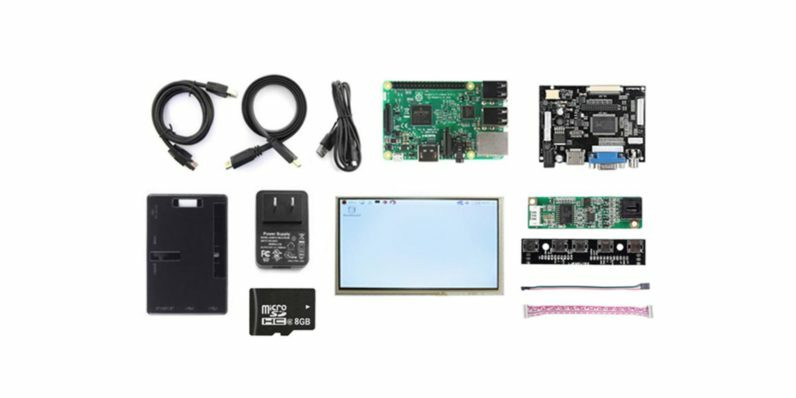 Now’s your chance to join the craze: Grab the Raspberry Pi 3 Complete LCD Display Kit, now available for just $114.99 from TNW Deals.